RESEARCHERS AT NUI Galway have published a paper on the outcomes for children in long-term foster care in Galway and Donegal, featuring interviews with the children and young adults, themselves. Commissioned by Tusla – whose responsibility it is to provide foster care in Ireland – it provides testimony from 10 children and young adults between the ages of 12 and 24 who were, or are, in foster care. They told stories of abuse and neglect, of fear and violence, of parental separation and alcohol misuse, of unemployment and mental illness before they went into care. They also told stories of finding it difficult to adjust in foster care, and the challenges they faced when they became adults. In the paper, the researchers were keen to stress how going into foster care can have a profound impact on a person’s life. I lost a lot of weight because there wasn’t food in the house and the doctor said I was malnourished. I told the social worker what was going on and I would show him a bruise or a mark I had, and there was no food in the kitchen. Those experiences affected my placements later. I didn’t know who to trust… I was afraid of my father. I never knew how they’d react. I thought it was normal to be afraid of adults. It was quite hard to move in with someone that I didn’t know. Myself and him, my foster dad, didn’t get along for quite a while. It was quite tense. But we get on quite well now. They got dumped with me, that’s how I felt about in the beginning… Not knowing who you are, where you’re going or where you’ll be. Some children had to learn new ways of communicating, as the foster families they were placed with offered a completely a different situation to what they had been become used to. Many of the people who were placed in foster care had experienced abuse from their relationship with their parents. Comments included “I was dragged”, “I had a bruise on my back… I forgot about it until I went into the shower”, and “I thought plates would be fired”. Only a small number of those interviewed said they retained strong connections to their birth families, particularly those who went into care in their teens. When asked about being in care, these older teens said that it meant instability and uncertainty to them. For those who go into care at a younger age, it gave them more of an opportunity to feel “part of the family” in foster care. Instead of coming in and going, ‘Right, I’m here about such and such and I was sent from this board to talk about this’, and you’re sitting going, Jesus, will you shut up. You know? It’s hard because at the end of the day you are a child, so there’s no reason to be so formal with you. They need to break it down to a level that you understand. If they’re going to be working with kids, then you need to work on their level. Which I found sometimes they didn’t do. There were actually numerous examples of trust in social workers being low among the young people interviewed. Transitioning out of care when they legally became adults was identified as a “challenge” for many. Uncertainty and a lack of support was identified with issues around employment, housing and education among the major worries. I felt he knew, he knew I was in care so he saw me as stupid or something… That made the accommodation thing more difficult… He knew I was in care and he didn’t give me the deposit back. I just went along with it at the time because I didn’t know any different, but it was because I was in care. When it came to leaving care, most identified it as a “negative life event” said the researchers, who recommended additional supports to be provided by aftercare teams. According to figures released by the Children’s Department, only 41% of 16 and 17-year-old have been allocated an aftercare worker. In late 2016, Tusla’s fostering service in Donegal was inspected by Hiqa. It met or exceeded nine of 26 standards. It required improvement across 16 measures, while one serious risk was identified. Although there were plenty of positive aspects, with “sound practice evident in a number of areas”, only 60% of staff members had attended compulsory training. 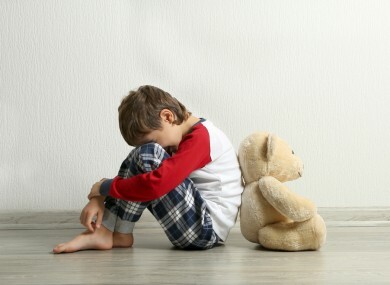 Concluding their interviews with the children involved, the authors of the report noted that due to the often harrowing abuse experienced before they went into care, children were able to flourish when they were able to trust in social workers, their relationships with extended family members, with siblings and with foster families. They wrote: “However, young people’s memories of their experiences before they go into care also destabilises placements. Young people’s memories of their pre-care experiences endure into adulthood, affecting their relationships with their peers and intimate partners. In a situation where everyone is pulling together for the sake of a child, the researchers say that more care is needed to make sure young people feel valued, feel secure and feel stable. If they don’t, the impact of going into care can have a lasting negative effect on them and their relationships with others. Email “'I was afraid of my father. I thought it was normal to be afraid of adults'”. Feedback on “'I was afraid of my father. I thought it was normal to be afraid of adults'”.